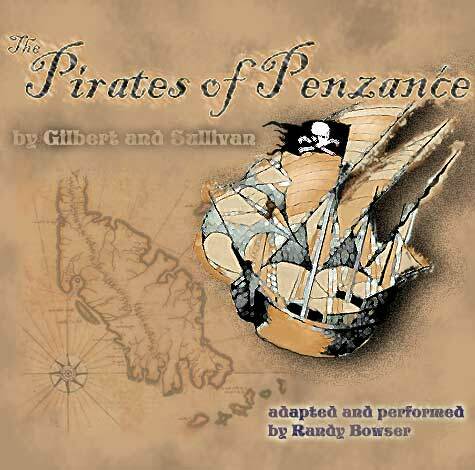 Randy Bowser also produced a full-length instrumental adaptation of the entire score for "The Pirates of Penzance" which was the "virtual orchestra" in a hugely successful production of the operetta in Salem, Oregon. Now, this unique recording is available to amateur theatres desiring to produce this popular musical, but are unable to assemble adequate orchestras. Click "ORDERING" above for rental information. EMAIL link also above. Click the pirate ships below to download MP3 sample sound clips.